Video of i didnt want to like it. GoPro 7; GREATEST EVER. One of the best parts of owning a GoPro is the size and versatility. Now, they've added stabilization, and by the looks of it, you won't need a gimbal to shoot great footage. Casey Neistat goes mountain-biking to show us what's possible with the new GoPro Hero 7. 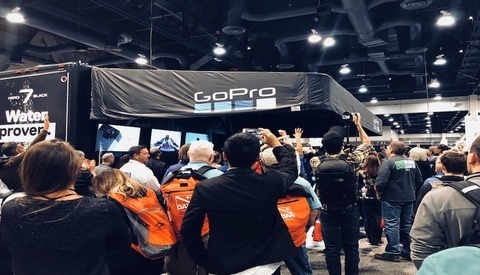 GoPro did experiment with some gimbals in the past, and they developed their own drone too, but now, they've given the camera in-body stabilization that looks incredible and makes for a great camera that, almost like your mobile phone, you can always have with you. In the video, the founder of GoPro, Nicholas D. Woodman, even asks Casey why they keep carrying these massive cameras with them when vlogging when it can all be done with a much smaller body. GoPro arrived on the scene with its small form factor with amazing HD video only a couple of years ago. They then made it waterproof and added voice-recognition capabilities. To summarize, it fits in a bag, shoots great footage, can go anywhere with you, and now has great image stabilization. At $399, the top option is the GoPro Hero 7 Black. 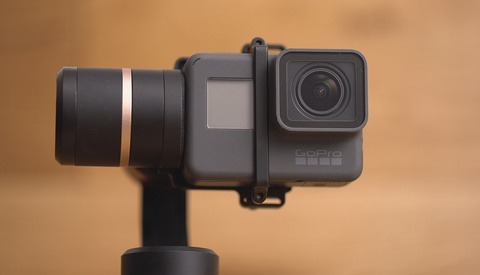 It's a great addition to your kit, even if you're not completely into the action sports videography GoPros are known for being used to capture. 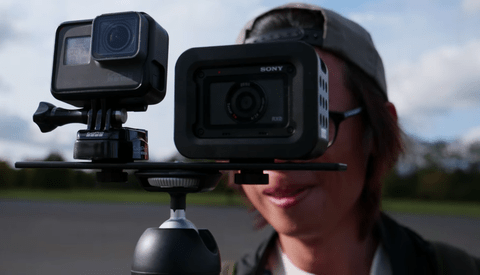 Is the Sony RX0 the GoPro Killer? A Casey Neistst video on Fstoppers? Never thought I would see the day. Can’t expect an objective report from him given he’s first name basis with MR GO PRO himself. I saw 8 other videos without audience who did much better videos than that. Just curious why OP shared this one in particular?